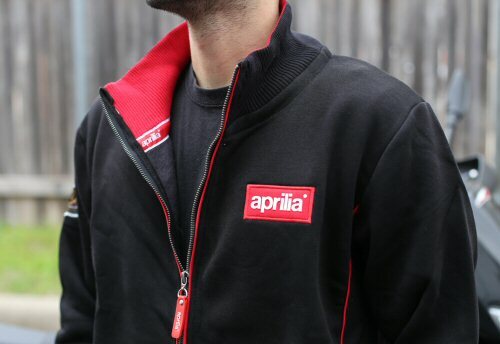 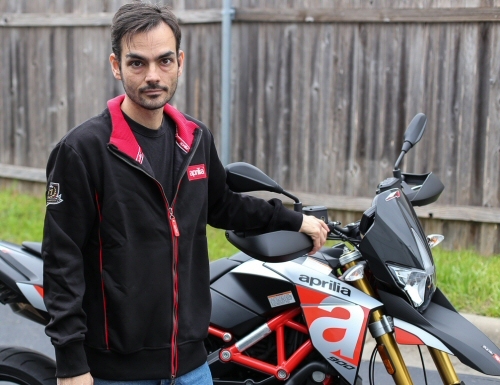 80% cotton / 20% polyester Official Aprilia apparel. 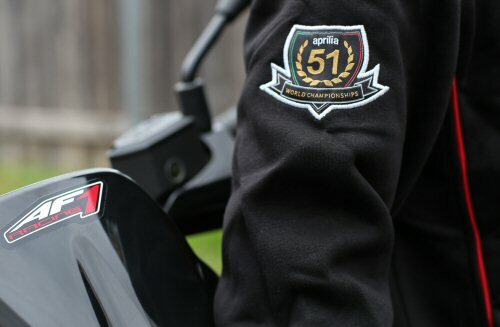 Features Rubber lettered Aprilia logo on chest, hip pouch pockets, Aprilia logoe'd main zipper, 51 World Championships patch on RH sleeve and vertical contrast piping. 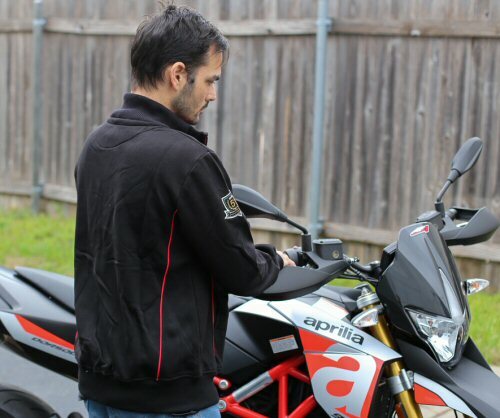 *Please note: These are sized in European proportions, Order one size larger than normal to ensure a good fit.